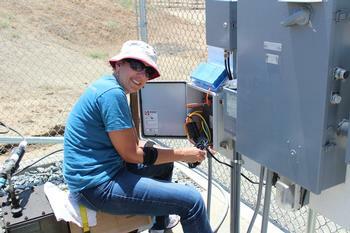 Principal Investigator: Chandra Krintz, Professor of Computer Science, University of California, Santa Barbara. SmartFarm is a new, unifying, and open approach to agriculture analytics and precision farming that leverages and integrates IoT (Internet of Things) and cloud technologies to provide farmers with new sensing, decision support, and data-driven actuation and control. This project proposes to develop and deploy SmartFarm at Lindcove and use it to investigate, validate, and demonstrate new approaches for sensing, data analytics and machine learning, and actuation of farm operations for citrus. In particular, it will use the UCSB-Lindcove SmartFarm system to investigate data driven frost damage mitigation for citrus. The goal of this project is to produce a transgenic citrus variety that was visually appealing to the consumer for marketing purposes and public opinion/feedback gathering. Genome modified Mexican lime lines, termed ‘Lilac Limes’ will be grown at Lindcove Research and Extension Center and tree health, fruit color pattern, nutrition, fruit production/quality and flowering time will be monitored. 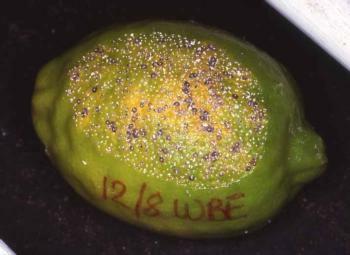 Lilac limes will serve as a flagship for federal deregulation of a genome modified citrus tree. 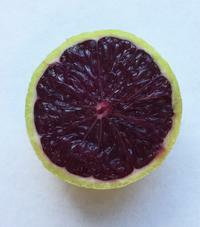 If deregulated, they can enter into the commercial market as a unique and appealing colored lime with antioxidant features. Principal Investigator: Caroline Roper, Assistant Professor and Assistant Plant Pathologist, University of California, Riverside. Next generation amplicon sequencing technologies have allowed us to characterize plant microbiomes at a much larger scale than ever before. Because of this, we now have a much better understanding of the composition of plant-associated microbiomes in the context of which organisms are there. The next frontier is to understand what role those native citrus microbes play in plant health and disease outcomes. The study proposed here will be a baseline study to determine the microbial communities associated with California citrus at the tissue niche level and how these communities fluctuate (or remain stable) over the different phenological stages of citrus. This information will have two outcomes. The first will be a framework from where we can begin to understand the role specific microbes or groups of microbes play in citrus health and development. The second will be a comprehensive characterization of the California citrus microbiome before (and if) citrus Huanglonbing (HLB) disease becomes established in the state. Principal Investigator: Philippe Rolshausen Associate CE Specialist, University of California, Riverside. This project designed to study that measures the long-term performance of trees under protective structure and develop horticultural technologies to improve CUPS production performance and sustainability. In addition, to seek evidence that this approach is an economically viable near-term alternative to grow HLB-free citrus. A plan to build the structure at Lindcove is in progress to address the scientific objectives. Bean thrips (Caliothrips fasciatus), native to USA, is a pest of export significance to the citrus industry because this species overwinters in the navel of navel oranges. California citrus growers practice a system’s approach that includes fruit cutting and inspection prior to harvest to check for thrips and postharvest treatment using CropFume for controlling bean thrips in fruit destined for Australian markets. Despite following the system’s approach, bean thrips interceptions have continued, and given the lack of effective alternative postharvest treatment research is needed to find a more effective postharvest alternative. Early, mid, and late season fruit will be used to evaluate the efficacy of cold treatments on bean thrips and to highlight the differences in susceptibility to the quarantine treatment between commercially important navel and mandarin strains used in California. Citrus producers face challenges in the form of nematodes, disease, and crop health in addition to the highly likely advance and spread of ACP and the accompanying devastating HLB disease. The research proposed here is aimed at increasing Citrus health, reducing disease and nematode damage, in preparation for the advance of HLB into the southern San Joaquin Valley. This research will test 3 compounds individually, and all 3 in combination to determine their effects at mediating nematode and disease issues and to determine their effects on improving Citrus plant health. 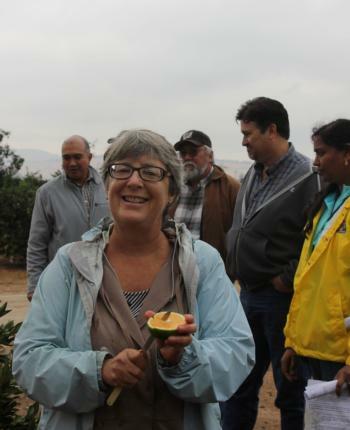 The Lindcove Research and Extension Center was chosen as a representative site for the southern San Joaquin Citrus growing region and provides the ideal opportunity to examine the effects of these treatments in detail. Citrus production in California has changed dramatically in recent years, with a sharp increase in mandarin acreage. In the absence of existing research into key endemic arthropod pests in mandarins, our current integrated pest management (IPM) guidelines have been largely borrowed from the years of extensive research done on oranges. We know these two crops are different in many ways, but not which pest management practices to change for optimal production. This project takes an integrated experimental and database (Citrusformatics IPM database) approach to address the formidable challenge of adapting IPM to a new crop. Preliminary analyses of the Citrusformatics IPM database, which contains comprehensive pest management data and harvest data from commercial growers in the in the San Joaquin Valley, has revealed some surprising patterns concerning key pests of citrus. At the Lindcove Research and Extension Center, we are testing different explanatory hypotheses for these trends. Our current experiments focus on fruit abscission, and damage from katydids and citrus thrips in different varieties of oranges and mandarins. Combining these field experiments with analyses of the data from industry contributors can help to provide timely, accurate and broad-scale recommendations to growers and pest control advisors, as the invasion of the Asian citrus psyllid (ACP) places new pressures on pest management practices.  Principal Investigator: Dr. Frank J. Byrne, Assoc. Res. Entomologist, University of California, Riverside. Principal Investigator: Dr. Jean-Xavier Guinard, Professor and Sensory Scientist for Food Science and Technology, University of California Davis. This research will build and expand on the sensory and consumer testing methodologies we developed, and the knowledge we generated regarding California consumers' preferences, knowledge, attitudes and beliefs about oranges and mandarins in Year 1 of our CRB project on citrus sensory quality and consumer acceptance. In Year 2, we will add flavor chemistry, flavoromics, genomics and metabolomics to the set of tools used to characterize the oranges and mandarins examined in the research, and we will start optimizing sensory quality and other fruit characteristics through the selection of varieties, the use of experimental designs and the manipulation of horticultural and post-harvest variables, both at the Lindcove Station and with select commercial partners. Finally, we will lay out the groundwork for the investigation of the effects of the microbiome on fruit quality in Year 3. This is an interdisciplinary and collaborative project that will enlist expertise and resources from several universities, UC's Lindcove Station and citrus growers and packers. Bean thrips (Caliothrips fasciatus), native to USA, is a pest of export significance to the citrus industry because this species overwinters in the navel of navel oranges. For controlling bean thrips destined to Australian markets, the California industry practices a system’s approach and fumigation with cropfume after harvest is a final step in the process. However, regular interceptions of bean thrips by Australian authorities seems to suggest that current recommended parameters for cropfume fumigation based on Dr. Morse’s research trials from 2008-2011 are not fully effective and need to be reevaluated. The research trials simulating a commercial packinghouse setting are particularly challenging because of the lack of facilities dedicated for conducting such trials. This project proposes to modify and use a cold storage room at Lindcove Research and Extension Center for cropfume fumigation and dedicate it for fumigation research. The first trials at this modified facility will be to compare the efficacies of one vs two applications of cropfume recommended for controlling bean thrips in navel oranges. The proposed research project is to establish a rootstock trial for Limoneira 8A Lisbon lemon at Lindcove Research and Extension Center as part of a series of three trials to evaluate several new rootstocks in the San Joaquin Valley, the Ventura County area, and in the Coachella Valley. Trees of Limoneira 8A Lisbon lemon, a popular selection in California, have been propagated at B&Z Nursery in a certified insect resistant greenhouse. The trees are on 11 rootstocks, 8 of which have not been tested previously with lemons at Lindcove. A total of 132 experimental trees (11 rootstocks x 12 single tree replications) are available. Guard trees should also be available if there is space. We have a higher probability of obtaining yield data on trials at Lindcove than for trials with grower-cooperators. 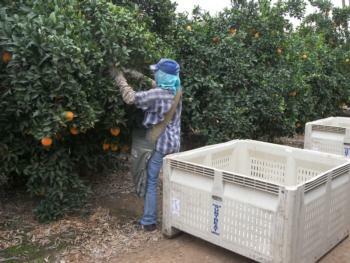 Having this trial at Lindcove also facilitates analysis of the fruit on the packline. Trees will be ready for planting in March 2016. They will be planted in a row-column design with 12 replications and single-tree plots. Normal cultural practices should be applied by Lindcove staff. Mandarins are a small but growing component of the California citrus industry yet often lose flavor quality while in storage. Our prior work has demonstrated ways to minimize this flavor problem but we have not been able to completely prevent it under all circumstances. Previous research by our group also found that there is a lot of diversity between different mandarin varieties in the accumulation of ethanol and other off-flavor compounds during storage that are likely responsible for flavor quality decline. We propose to utilize this diversity and study why some varieties differ in the amounts of these compounds accumulated and attempt to find key differences that could be used in the development of new storage-tolerant mandarin varieties. This work will involve examining anatomical, biochemical and molecular mechanisms potentially involved in off-flavor development. Principal Investigator: Kris Godfrey, University of California Davis, College of Agriculture and Environmental Sciences. The disease/insect complex of huanglongbing (HLB)/Asian citrus psyllid (ACP) is threatening the California citrus industry. Basic research on this complex can only be conducted in approved quarantine facilities in California such as the University of California-Davis Contained Research Facility (CRF). The CRF is a Biosafety Level III – Plant facility, and no living organism or viable part of an organism can leave the facility. This project will provide the plant material (seeds) needed to conduct basic research on early detection of HLB (i.e., detection before symptom development) and management of ACP. Maintenance of the HLB culture and ACP colonies requires a constant supply of citrus plants in the appropriate phenological stage due to plant mortality caused by both the insect and the disease. The plants must be started from seed as is required by the Standard Operating Procedures (SOP) of the CRF. The cultures and colonies within the CRF will be used by as many as nine projects (research on various methods for early detection of HLB and novel management tactics for ACP) supported by the Citrus Research Board. This project at the Lindcove Research and Extension Center will help to insure that there are enough quality citrus plants produced from seed, to maintain the HLB cultures and the ACP colonies needed for research. The objectives of this project are to evaluate the performance of three mandarin scions on a range of commercial and experimental rootstocks. Mandarins are of increasing importance in California and frequently have compatibility problems with some commonly used rootstocks. We selected 20+ rootstocks, collected seeds and propagated trees at Lindcove. Tree were budded with 'Nules' Clementine, 'DaisySL' mandarin and 'Sidi Aissa' Clementine. There are currently relatively few rootstock trials for mandarins in California so it is important to initiate new trials. Tree size, health, crop and fruit quality data will be collected as the trees mature. A series of citrus variety trials have been initiated to systematically evaluate the most promising new scion cultivars in locations that represent the major California citrus production zones. Currently, new scion varieties that are imported into California are evaluated in trials of 1-3 trees at a few locations (UCR, Lindcove, and Thermal). Varieties developed in the UCR breeding program are evaluated in replicated trials at 7 locations, but these trials do not always compare new selections with many existing cultivars. This proposal will establish integrated trials that can include new varieties regardless of origin and standard cultivars that represent each major group. One of the locations chosen for these multi-location replicated trials is Lindcove. The trials will have sufficient replication (18 trees per location, 5 locations) to make it possible to estimate yields and measure fruit quality traits with a reasonable degree of accuracy. Promising imported Satsuma and Clementine scion selections were chosen for the first set. This research program provides critical information to the citrus industry about the efficacy and selectivity of registered and unregistered pesticides against key pests of citrus. Knowledge of the best uses of pesticides (rate, timing addition of surfactants, and level of selectivity favoring natural enemies) helps pest control advisors and citrus growers make more informed decisions about the most appropriate pesticide to use and so minimizes pesticide use. Citrus pest tested have included California red scale, citricola scale, cottony cushion scale, ants, katydids, citrus peelminer, citrus leafminer, Fuller rose beetle, and citrus red mite. When new insects enter the region, such as citrus leafminer in 2006, screening work is done at Lindcove REC to find the most efficacious and selective insecticides to incorporate into the citrus IPM program. 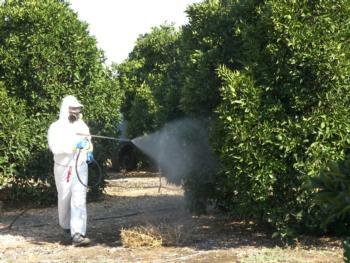 We also determine the impact of pesticides on natural enemies such as parasitic wasps, ladybeetles and predatory mites. The objective of this experiment is to investigate the causes of decline of Fukumoto navel orange on certain trifoliate hybrid rootstocks. In some, but not all, locations trees of Fukumoto on Carrizo and C35 citranges (and possibly other rootstocks) show severe declines within a few years after planting. The decline appears similar to a bud union incompatibility with excessive suckers growing from the bud union, slow tree growth, and eventual tree death in some places. No pathogen associated with this disorder has been identified. The purpose of this experiment is to determine if the decline is bud transmissible. Budwood was collected from 24 declining trees at 4 locations, and from 24 healthy trees at 4 other locations. Trees were propagated at Lindcove REC on C35, Carrizo, and Volkameriana (a rootstock apparently not affected by the decline). The trees were planted in the field in 2005. Buds from both healthy and declining trees grew normally in the greenhouse. During the first year after planting, many trees had foaming gum on some branches, but this was not associated with the bud source. This problem has not been observed since 2006. Although there are significant differences in tree size among rootstocks, no substantial differences in tree health were observed among rootstock or bud sources through December 2008. In commercial groves, decline often does not appear until trees are at least 5 years old. During the past decade there have been significant changes in the number, types and varieties grown in California due in part to market changes within the global market for fresh citrus, and the increase in foreign imports and exports with intensified global competition. High quality citrus varieties which meet the market needs and are suited to California climates are crucial to the California citrus industry to maintain competitiveness in the global and domestic fresh citrus market. New varieties are released each year from the Citrus Clonal Protection Program (CCPP) which may have commercial potential for the California Citrus industry. The Lindcove Research & Extension Center (LREC) Variety Demonstration Orchard has two main objectives: 1. Provide a demonstration block of new and existing citrus cultivars for field days, fruit displays and for growers and industry representatives to evaluate fruiting trees of these varieties, and 2. Serve as a resource to other citrus research projects and for our CRB-funded projects which provides preliminary evaluation new citrus varieties entitled: Citrus Variety Evaluation for Trueness-to-Type and Commercial Potential. The majority of the varieties in the collection are grown on each of two rootstocks; Carrizo citrange and C-35 citrange, or the most appropriate rootstock for the specific scion variety. Data collected on the fruit quality traits of new citrus varieties at the LREC Citrus Variety Demonstration Orchard contributes knowledge about the characteristics, adaptability and possible commercial potential relative to current commercial varieties in California. The objective of this project is to maintain seed source trees for experimental citrus rootstock selections. A single tree of most selections is planted, with two trees of some of the more promising ones. The selections include hybrids of sweet orange x sour orange; a few zygotic seedlings of various rootstocks identified using molecular markers, and various Phytophthora and salt-tolerant hybrids selected by the USDA breeding program at Indio. Seed is periodically collected from trees in order to establish field trials or to test for disease resistance or other traits. Some trees have also been used as parents in the breeding program. Seeds of several accessions have been distributed to citrus researchers in Florida, Texas, Brazil, and elsewhere for evaluation. This trial of 29 rootstocks includes standards, eight Florida selections, and some selections from the USDA breeding program previously based in Indio, CA. It was designed to evaluate the performance of Lane Late navel orange on various rootstocks because a very late maturing variety may respond quite differently to rootstocks than the early or mid-season varieties tested previously in California. The trial was planted in 1990 with eight single-tree replications of each rootstock. Some rootstocks in the trial, particularly Yuma Ponderosa and rough lemon types were badly affected by a freeze in December 1990. Yield records have been collected since 1994, as well as tree measurements and health and bud union ratings. This trial has identified several promising new rootstocks. The Lindcove Research and Extension entomology greenhouse is used to grow seedlings, and Madam Vinous, Mexican lime and pummelo field trees provide seed for various experiments. Currently, the seedlings are used to rear citrus leafminer, cottony cushion scale and Fuller rose beetle, and test their responses to pesticides. Field trees are used to provide lemons for rearing California red scale colonies at Kearney Agricultural Research and Extension Center (KARE) and for testing these colonies for their response to insecticides and fumigants designed to replace methyl bromide. The objectives of this project are to identify seedless forms of cultivars that currently perform well in California, and to evaluate new seedless or low-seeded hybrids. The major emphasis is on mandarins, but some work on oranges, grapefruit and lemons is also conducted. Budwood is exposed to irradiation to induce mutations that block seed development, converting a seedy cultivar to a low-seeded one. 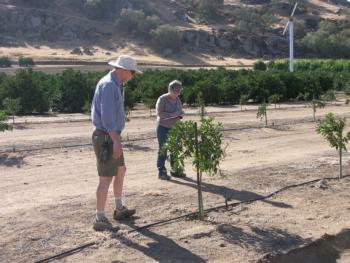 Trees are propagated from the irradiated buds in the greenhouse at Lindcove REC, planted at Lindcove or at UCR, and evaluated for seediness and other traits. Only a few trees contain suitable mutations. 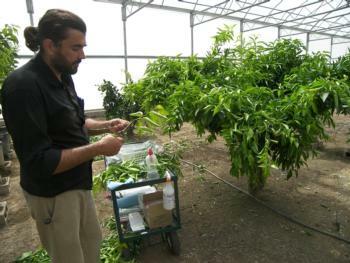 Selected trees are then used as sources of budwood to propagate additional trees for testing at multiple locations. Since the irradiation breeding project was started in 1996, many thousands of trees from budwood irradiation of 36 different varieties or selections have been planted. Evaluation of these resulted in a total of 62 low-seeded selections from 19 varieties, but evaluation of the more recent plantings is still in progress. Selections made from irradiation experiments have now fruited in replicated trials. Most appear quite stable and productive, so the general approach seems to be successful. The University of California released 'Tango', a low-seeded mandarin selection of W. Murcott, in June 2006, and within the past several years 'KinnowLS', 'DaisySL', and 'FairchildLS' mandarins have been released. The objectives of the UCR citrus breeding program are to develop and release new citrus cultivars that are useful in California. The breeding project develops potential new cultivars by hybridization-selection (initially conducted in Riverside) and by mutation breeding to produce seedless forms of existing cultivars. The focus of this Lindcove REC project is on field evaluation of new selections in replicated trials at Lindcove and elsewhere. New selections from the breeding program are propagated in a greenhouse at Lindcove and replicated trials are planted at Lindcove and several other locations in the San Joaquin Valley and southern California. During the next three year period we plan to continue evaluation of existing trees for yield, seed content, other fruit quality traits, tree size and shape, tree health, and other important characters. Additional trees of hybrids and irradiated selections will be propagated for planting in trials at Lindcove and elsewhere. The number of trees to be propagated each year is difficult to predict because breeding is inherently uncertain, but we generally expect to make 3-8 new selections per year. Trees of discarded selections will be removed and replaced with new trees. As promising selections are identified in the replicated trials, registered budwood source trees will be established and new varieties will be released after consulting with University of California and citrus industry organizations. The California Citrus Clonal Protection Program (CCPP) was established over 50 years ago and today stands as a cooperative program between the University of California, Riverside and the California citrus growers, represented by the California Citrus Research Board, and the California Department of Food and Agriculture (CDFA). The CCPP is responsible for the introduction, disease diagnosis, pathogen elimination, maintenance and distribution of true to type primary citrus propagative material for the needs of the California citrus industry and citrus researchers. 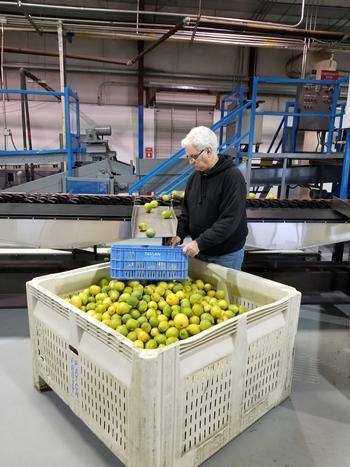 The CCPP holds one of only two license permits issued by the USDA-Animal and Plant Health Inspection Services for the legal importation of citrus propagative material into the United States. As such the CCPP is a critical link in the introduction, movement and improvement of citrus not only for California, but has released worldwide over 40 varieties in the last three years alone. The main focus of CCPP remains the detection and elimination of bud-transmitted pathogens from citrus propagative material. This is accomplished with the careful testing of all newly imported varieties and the application of the appropriate therapy method. Citrus propagative material that successfully completes therapy and testing is maintained in CCPP’s Protection Foundation and Foundation-Evaluation Blocks, currently holding over 200 commercially important varieties as CDFA registered trees for budwood distribution. The CCPP distributed over 80,000 buds from its registered trees over the past three years. Registered trees receive periodic disease retesting as well as growth and fruit evaluation. 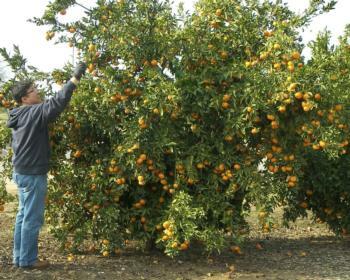 The CCPP distributes evaluation and other citrus information on the web at www.ccpp.ucr.edu. 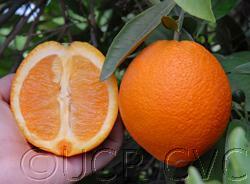 The concept of dwarfing in citrus is a consideration for the improvement of production in terms of yield (i.e. high density plantings) and quality. 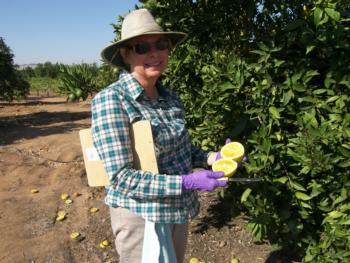 Trials with important commercial scions such as Parent navel and Oroblanco grapefruit hybrid, as well as the citrus rootstock varieties Trifoliate and Carrizo, have been established at Lindcove REC in order to evaluate the effects of Transmissible small nuclear RNAs (Tsn-RNAs) on citrus growth, yield, and fruit quality. A high density or close spacing planting pattern has also been evaluated. Dwarfing by Tsn-RNAs is a recent approach (CDFA approved their commercial use in 2001) for the control of vegetative growth. With the limitations imposed on long term plantings as a result of disease, the commercial importance of citrus, and the constant demand for new rootstock and scion varieties, the suggestion of dwarfing and the accompanying feasibility of closely spaced plantings of citrus merits further study.